It has been a busy week, and I am so thankful it is Friday! (Hence, the reason the Thursday Style Finds is going live on Friday.) 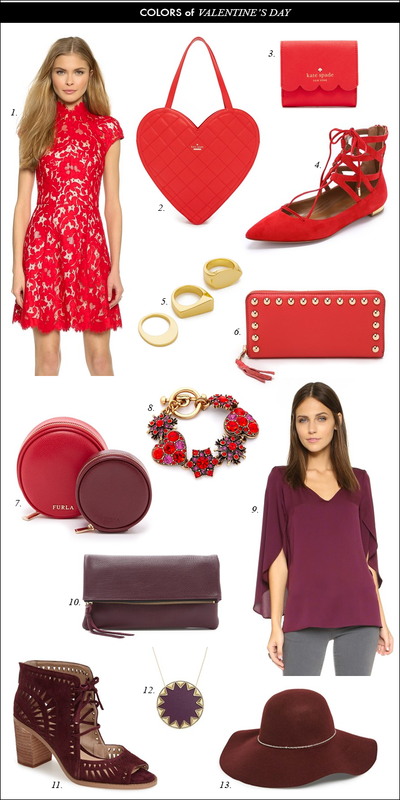 A lot of red gift guides have been going around the blogging world, and I wanted to join the party and share a few of my favorite red and burgundy gift ideas for Valentine's Day. This heart-shaped bag is quirky and fun, and I like the suede cut-out sandals. I am participating in the following link-ups. That lace dress is gorgeous!! Hope you can get some rest this weekend. Numbers 4, 8, and 13 are my favorites! I really love picks! Love these picks! Those lace up flats and Vince Camuto sandals are stunning! I love this board! It's kind of got an ombre effect to it! That lace dress is so gorgeous and those flats are amazing too! I seriously love all of these picks, so pretty and festive!! I really want #4, 9 & 11! Have a great weekend Lisa and thanks for featuring me this week! Great picks! Love the red dress. 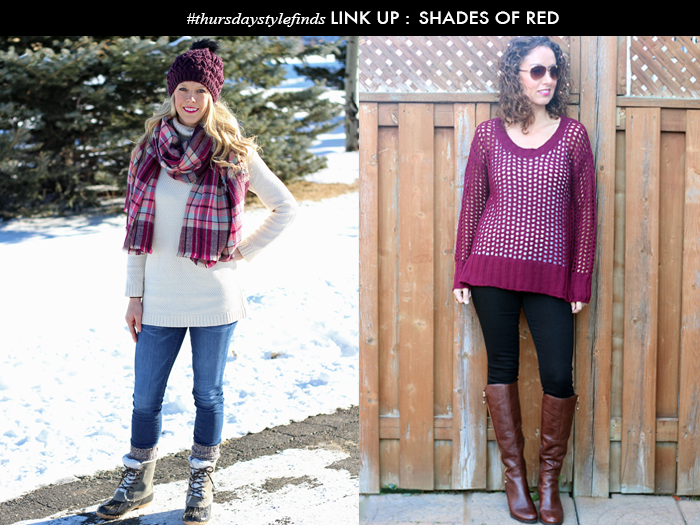 I'm hosting a new weekly Weekend Wear Fridays linkup and would love for you to join and share your styles. Have a great weekend. That lace dress is unreal! I love the high neckline! how pretty is that dress?!?!?! I LOVE it!! I'm also loving the hat, so fun! seriously everything you put in boards I absolutely love! That burgundy blouse and red lace dress...need in my closet right now! That Kate Spade clutch is SO pretty! Thank you so much for the feature!! I love your Valentine's picks. Especially the red lace dress. How gorgeous! Love all of these! This is seriously one of the best vday inspo's I've seen this season. I have a similar dress but with long sleeves and I wish it was sleeveless like this one! So pretty! Love both of these colors for V-Day! Those plum sandals are the cutest! Really love those red lace up flats! Those Vince Camuto sandals!!!! Dying over here! I want all of those red pieces, especially the lace up flats. How cute!! I love the laceup flats! !Thanks for joining us on My Refined Style. The color red is my favorite thing about Valentine's day. I love your selections. Thanks for lending your flair to the My Refined Style Linkup. See you again next month! ©2014 Daily Style Finds LLC / Melissa Rose Design. Powered by Blogger.